"Tayla Lynn, the granddaughter of country music royalty Loretta Lynn, talks about her grandmother’s legacy on the heels of her star-studded 87th birthday bash"
Fastline Fast Track is a bi-weekly podcast hosted by Brent Adams that can be found at http://fasttrack.fastline.com. It also is available at Apple Podcasts, Google Podcasts, Spotify, Stitcher and TuneIn. 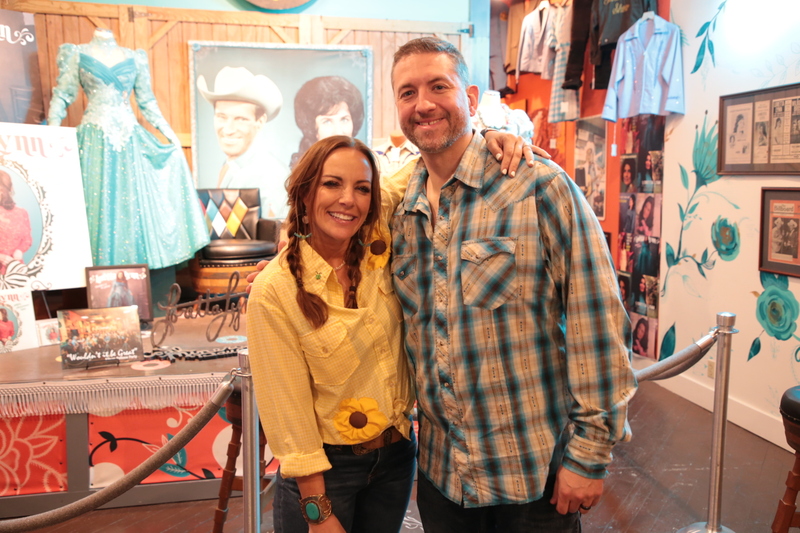 On Episode 8, recorded at the legendary Ernest Tubb Record Shop in Nashville, Tennessee, Tayla Lynn, the granddaughter of country music royalty Loretta Lynn, talks about her grandmother’s legacy on the heels of her star-studded 87th birthday bash at Bridgestone Arena in Nashville. Tayla handled social media duties for Loretta and took followers behind the scenes of the special event. A singer/songwriter herself, Tayla Lynn performs on the episode and talks about her new album, due out in May. Episode 8 of Fastline Fast Track also features content from the Mid-America Trucking Show in Louisville, Kentucky, including an announcement on federal Hours of Service regulation reform by U.S. Transportation Secretary Elaine Chao. It also includes reaction by U.S. Ag Secretary Sonny Perdue and Owner-Operator Independent Trucking Association Vice President Lewie Pugh. Mark Reddig, the host of Land Line Now on Sirius XM’s Road Dog Trucking Radio, shares his trucking industry insights and Adams talks with country music singer/songwriter Tony Justice and Mountain Man from the hit A&E television show “Duck Dynasty.” The episode also features a discussion on crop science with Lynn Justesen, technical sales specialist for row crop fungicide with Arysta LifeScience North America LLC. Brent Adams is the Director of Content for Fastline Media Group. He is an award-winning, 24-year veteran, broadcaster, print journalist and public relations professional. He has worked in television and radio in Louisville, Kentucky, and as an editor for print publications in Louisville, Kentucky, and Indianapolis, Indiana. He also has served as Director of Public Relations and Broadcasting for the Louisville Fire and Kentucky Xtreme indoor football teams, for the Ernest Tubb Midnite Jamboree Association in Nashville, Tennessee, and for various Nashville-based country music artists. Fastline Media Group has grown from a traditional magazine and print business to a full-service digital and data-centered operation that provides mixed marketing solutions to the agriculture and related industries. The company produces 22 farm industry catalogs, digitally and in print, across the United States. Fastline also owns i3 Digital Agency, MCW Printing and provides marketing and business intelligence to the agriculture and related industries.